It’s that time of year again here in Australia, it’s starting to heat up and with increased sun exposure comes frazzled hair. Instead of spending big bucks at a salon, I have some hair care solutions that are available in your own home. The first line of defence is a good diet, remember to hydrate yourself from within, so you’ll need to drink plenty of water and eat food that contains protein such as meat, fish and dairy products. As for dealing with your dehydrated locks, you can make homemade hair masks. The ingredients are different depending on your needs but they include avocado, lemon, honey, olive oil, mayonnaise, banana, milk, eggs, yoghurt and coconut oil. Eggs are good for protein, milk is great for soft tresses, yogurt is perfect for dull hair or build-up, lemon helps oily scalps and honey is pretty much good for everything, plus it can help stinky hair treatments smell better. 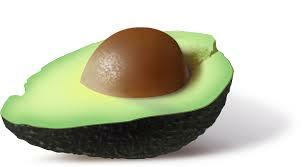 If your hair is crying out for moisture in the midsummer heat, then avocado and coconut oil is the way to go. You can combine the two if you follow this hair treatment recipe from Elle. If you don’t have coconut oil, use extra virgin olive oil in its place – it worked for me! It gives dull, dry hair an instant pick-me-up, perfect after a day on the beach. If you want to hydrate long hair while lazing on the beach or swimming you can smear some coconut and olive oil on your hair, braid it and then spend the day like that and wash it out when you get home. For some more ideas, check out these hair mask recipes.